Since the first edition of Identification of Pathogenic Fungi, there has been incredible progress in the diagnosis, treatment and prevention of fungal diseases: new methods of diagnosis have been introduced, and new antifungal agents have been licensed for use. However, these developments have been offset by the emergence of resistance to several classes of drugs, and an increase in infections caused by fungi with innate resistance to one or more classes. Identification of Pathogenic Fungi, Second Edition, assists in the identification of over 100 of the most significant organisms of medical importance. Each chapter is arranged so that the descriptions for similar organisms may be found on adjacent pages. Differential diagnosis details are given for each organism on the basis of both colonial appearance and microscopic characteristics for the organisms described. 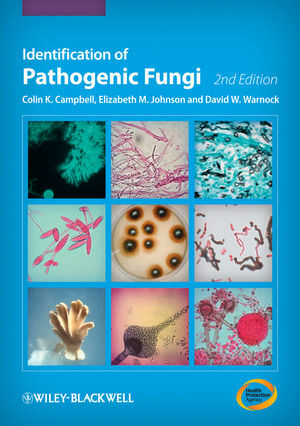 In this fully updated second edition, a new chapter on the identification of fungi in histopathological sections and smears has been added, while colour illustrations of cultures and microscopic structures have been included, and high quality, four colour digital images are incorporated throughout.